Face-to-face communication has become the exception rather than the norm with most people today communicating using email and texts. But OPPD is working to maintain that personal connection with its project partners by launching a builder and developer coordination committee. The new committee is a way for area developers and builders – think office parks, housing subdivisions and apartment complexes – to come together and get their schedules and projects on the same page. Twenty years ago, OPPD formed a utility coordination group made up of representatives from the utility, construction firms, project engineers and the city and county. This group meets monthly to discuss work schedules and projects such as road-widening projects. Steve Fanslau, director of Customer Service Government Infrastructure, said the meetings are a great way for utility and design professionals to get together and “just talk.” The group talks about projects currently underway as well as those coming in the near future. For example, the West Dodge Expressway was discussed in these meetings for seven years before construction started. “We could talk about those big projects, but once it was active we would still meet and discuss them,” Fanslau said. The meetings allow those involved to be on the same page in terms of expectations, but most importantly it was face-to-face, he said. Fanslau said this model also fit the work being done by builders and developers. 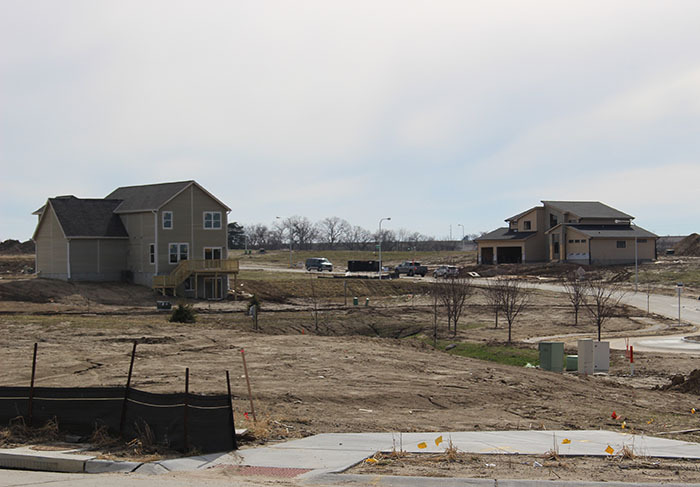 When a new housing subdivision goes in, there is an intricate and well-timed schedule for entities to come into the property and do their work. By establishing communication such as this coordination committee, everyone knew how they each set schedules and timing. The first several meetings will be held on the UNO campus. Fanslau hopes to permanently host them at OPPD’s Elkhorn Service Center in west Omaha. At its first meeting in February, more than 40 people attended. They included representatives from engineering firms, the Metro Omaha Builders Association (MOBA), builders and utilities. Fanslau said the first several meetings will define the purpose and direction of the group, much like the utility coordination committee 20 years ago. Eventually, the groups will most likely get smaller as the parties identify representatives who can regularly attend, he said. In addition to these larger group meetings, OPPD’s lead utility coordinators are regularly meeting with individual builders and developers. Fanslau said these coordinators, Todd Mclochlin, Danelle Sobbing and Andrew Clark, are OPPD’s link to what’s going on in the field, with the invaluable support of Customer Service Operations clerk Laura Strode.